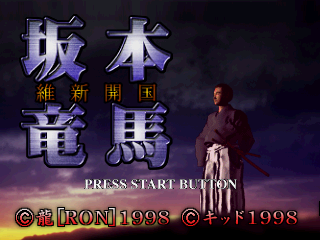 Sakamoto Ryuuma: Ishin Kaikoku (坂本龍馬・維新開国) is a historical simulation game for the Sega Saturn released in Japan in 1998 by KID. Main article: Sakamoto Ryuuma: Ishin Kaikoku/Magazine articles. ISHI_ABS.TXT TXT (Abstract) 1,396 About this game. NEC Retro has more information related to Ishin Kaikoku.